Coroplast is cut and scored for our 1 grid by 2 grid narrow loft with two openings for ramps. The interior walls are angled slightly and two edgers are placed on the angles to discourage chewing on that section. 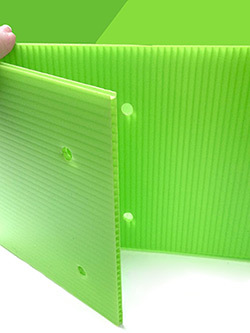 4mm Coroplast bottom in your choice of 16 colors! 12.5" x 27.5" x 6" sides for 1x2 grid loft. 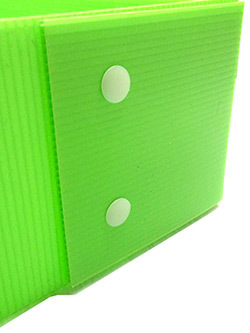 The base is cut and scored so you only have to secure the flaps. Coroplast is cut for two ramp entrances.